Oh, right, voice recognition, the annoying application that makes you say the same word over and over, and still doesn't understand what you're trying to get done. 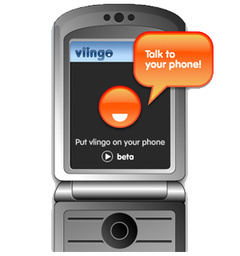 Eventually, someone is going to get it right, and the latest candidate is Vlingo Mobile, a company that has created voice recognition software for mobile phones. A demo of the technology on the company's site certainly makes it seem appealing. You can compose text messages, conduct Internet searches and, of course, place calls without tapping those tiny keys. If you want to edit a search term, you highlight the word, then speak in a substitute.